In the past month, I’ve discovered two new favorite books. 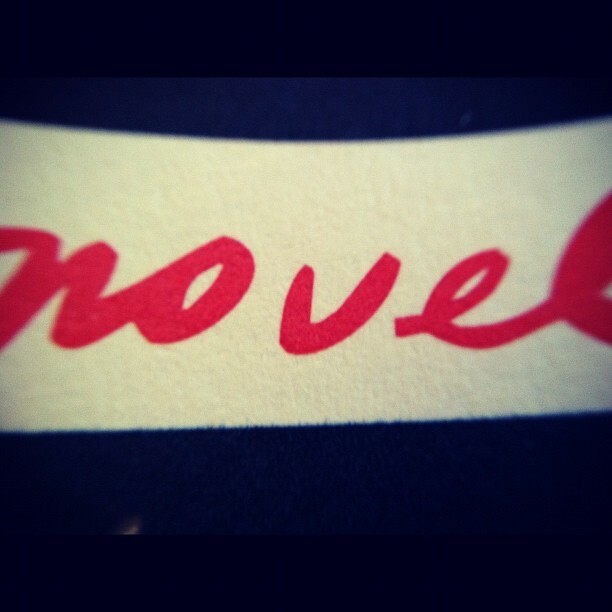 Find Me by Laura van den Berg and Nobody is Ever Missing by Catherine Lacey. Van den Berg (henceforth known here as LvdB) is getting crazy good press right now – Salon thinks she’s “the best young writer in America,” and I probably agree. Both books garnered 5+ ratings here on the blog. So I’m not alone! 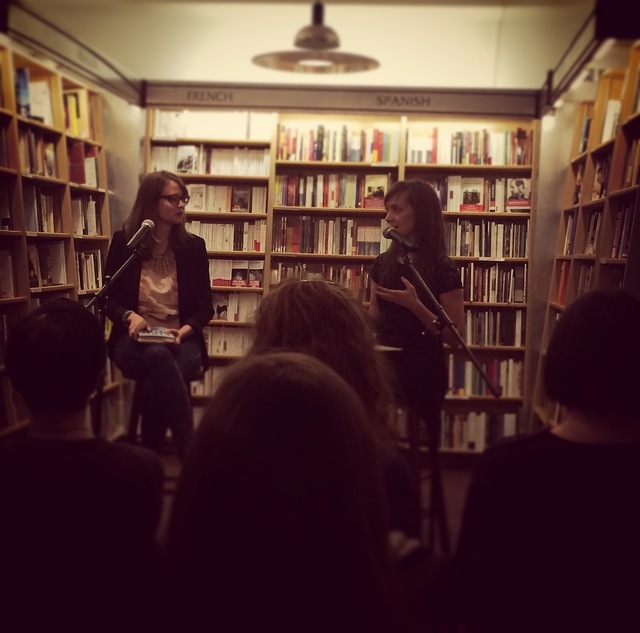 Much to my delight, the NYC launch of Find Me entailed a conversation between LvdB and Lacey at McNally Jackson. And it was great! Everything you want a conversation between two of your newly favorite authors to be: engaging, inspiring, and a little goofy. Perched on their stools in the cozy downstairs of McNally Jackson, the two jumped right in by pondering the always-looming “apocalyptic” label, under which Find Me definitely falls. LvdB said something that could probably be applied to Lacey’s novel as well, which is that in creating the story, what she overwhelmingly felt was the main character, Joy’s, personal dystopia. The landscape and events of the story were congruent, but that uncharted-wasteland-feeling existed both in and outside of the character’s head. LvdB ended that beat with a statement about Florida (her home state), and Lacey transitioned by jovially asking, “Why is Florida so fucked up?” In a shoutout to a fellow-FSGer, LvdB quoted Jeff VanderMeer as saying that to be a Floridian is to have “daily contact with the surreal” (from, I believe, this great interview between LvdB and Vandermeer). And LvdB, while she did not attempt to explain Florida (who ever could? ), mentioned something that I’ve thought about a lot as someone from a very strange town, which is how the place you grew up is likely the foremost influence in your world view, whether you like it or not, and that she didn’t come to terms with that until recent years because “it’s kind of embarrassing.” That hometown surrealism is so present in Find Me (even though only the last maybe 20 pages are actually set in Florida). Lacey then posed a question that LvdB has probably been asked a lot recently. As a writer who’s thus far only published short stories, was the process of writing/decision to write a novel any different? LvdB had lots to say on the topic, but something that resonated with me was the reflection that she can work on short stories anywhere, whereas a novel completely took her over. She felt the need to sort of abandon life and work for dedicated periods (which she was fortunate to find in various residencies). We talk about whole different art forms (music v. painting v. writing, etc) that way – and arguably the novel and the short story live in equally separate realms. After a few more questions from Lacey, LvdB gave a lovely reading of two passages from Find Me, told a ghost story about a residency in Florida (complete with a successful seance), and turned the question-asking to the crowd. In addition to my fine friend Christopher’s (yes, of So Many Damn Books fame) question about genre and whether LvdB delved into any sci-fi-ish research in her process, my favorite question was: “How do you know when a story is finished?” LvdB replied that while she generally feels like she has to relinquish the work with faith that she’s done her best, with Find Me, she just reached a point where she felt like Joy ended up where she intended her to. With all the (well-deserved) hype about this book and the extent to which it’s really somewhat of a masterpiece, it was this simple, reassured answer that sent us back out into the mid-winter’s eve, glad to have shared it with two genius women and their work.